In 2013, Indio Downey, the son of actor Robert Downey, Jr. was charged with felony cocaine possession. Shortly after his son’s arrest, Downey released a statement to celebrity news website, TMZ: “Unfortunately there’s a genetic component to addiction and Indio has likely inherited it.” Scientists are actively researching the role that genes play in the disease of addiction, as well as how addiction may be inherited. Every living thing, from plants to animals and people, are made up of cells. In the nucleus or command center of each cell, these are strands of DNA (deoxyribonucleic acid). These long, ladder-shaped molecules are packaged into chromosomes. Humans have 23 pairs of chromosomes, while fruit flies only have four. Chromosomes are made up of continuous strands of genes. Genes provide the code, or recipe, for the body to create proteins. Proteins are important because they carry out most of the body’s functions. If certain genes are present, go missing or have mutated, the proteins that they code for will be altered. Studies have shown that addiction, the predisposition to substance dependency and the vulnerability to relapse after treatment are genetically related. 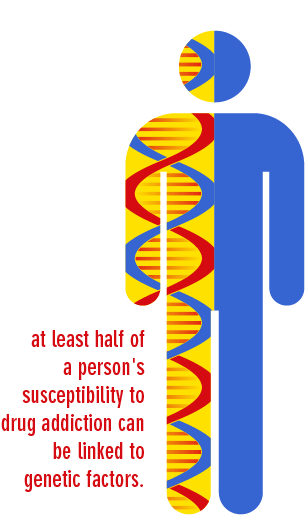 The American Psychological Association reported that “at least half of a person’s susceptibility to drug addiction can be linked to genetic factors.” Like other medical diseases, addiction involves complex genetic variations. When combined with environmental factors, the genetic inclination towards addiction is inherently difficult for some people to overcome. In their search for the biological differences that make people more susceptible to addiction, scientists have identified some genes that may play a role. 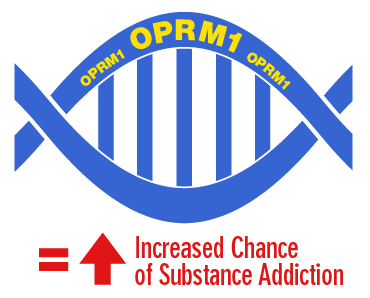 These include the opioid receptor mu subunit 1 (OPRM1), 5-hydroxytryptamine receptor 1B (HTR1B), Period1 (Per1), Period2 (Per2) and the Neuropeptide Y (NPY) genes. The HTR1B gene encodes for the 5-hydroxytryptamine receptor 1B protein, also known as the 5-HT1B receptor. The highest concentrations of 5-HT1B receptors are found in the central nervous system where it controls the creation and release of serotonin, a chemical that is associated with feelings of contentedness and well-being. A study in Pharmacology, Biochemistry and Behavior found that mice without the HTP1B gene have demonstrated an increase in aggression. 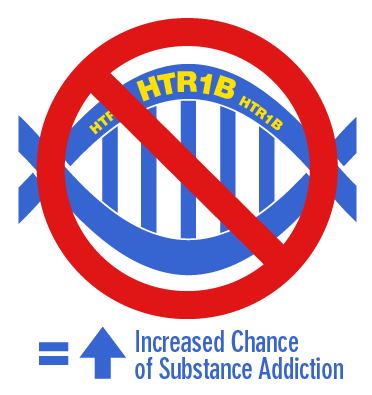 The American Journal of Medical Genetics reported that those lacking the HTP1B gene also have a higher predisposition for alcohol, cocaine and heroin abuse. 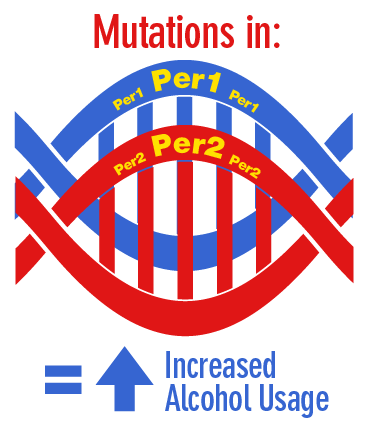 Per1 and Per2 genes aid in regulating circadian rhythms. The National Institute of General Medical Sciences defines circadian rhythms as, “physical, mental and behavioral changes that follow a roughly 24-hour cycle, responding primarily to light and darkness in an organism’s environment.” Mutations in the Per1 and Per2 genes result in the disturbance of these cycles. These disruptions have been found to increase alcohol intake,which in turn contributes to alcohol abuse and relapse. Another gene that influences alcohol consumption is Neuropeptide Y (NPY). Like the Per1 and Per2 genes, NPY influences a person’s circadian cycles, as well as stress response. 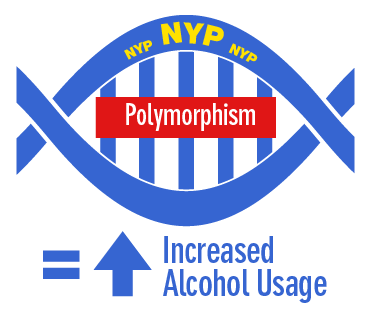 Studies show that if NPY undergoes polymorphism (changes to a different shape) then the resulting gene signals for a protein associated with greater alcohol intake. How are Genes Passed Down? Heredity is the transmission of genetic information from one generation to the next. 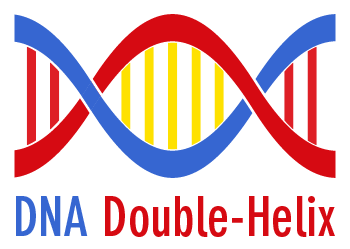 Each human being inherits, or acquires, twenty-three chromosomes from his/her mother and the same number from his/her father to make a total of twenty-three chromosome pairs. This is how traits are passed from parent to offspring. If one or both parents have a gene that predisposes them to addiction, the chances are their children will also have the same gene. When Downey was six, his father, Robert Downey Sr. allegedly started supplying him with marijuana. The Collaborative Study on the Genetics of Alcoholism assessed the genetic transmission of habitual smoking as well as alcohol, marijuana and cocaine dependence in families. The results confirm that the vulnerability toward addiction is an inherited trait. 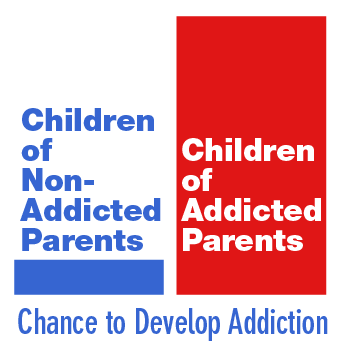 Researchers found that children of addicts were eight times more likely to develop an addiction themselves. Behavioral neuroscientist Karen Ersche of the University of Cambridge in the United Kingdom and her associates conducted research to determine if inherited genetics was the sole cause of substance abuse. Fifty pairs of biological siblings, one with an addiction and one without, were evaluated for poor self-control, a symptom synonymous with the brain circuitry of addiction. Not surprisingly, both sets of siblings were found to have the same low amount of self-control. Researchers concluded that although some individuals are biologically predisposed to addiction, the disease is not inevitable and can be overcome. Seaside’s treatment programs address the patient’s emotional, physical and mental health. Our mission at Seaside Palm Beach is to provide our patients suffering from substance abuse disorders with the finest care in elegant and peaceful surroundings. With customized therapies that incorporate the latest, clinically-proven techniques, Seaside’s treatment programs address the entire patient’s emotional, physical and mental health. From medically-assisted detox to post-treatment support, Seaside enables patients to overcome their addictions by helping them to integrate wellness into their everyday lives. When you or a loved one is ready to start the journey to overcoming the disease of addiction, please contact a specially-trainer counselor at Seaside Palm Beach.